Ahead of the new interactive Vets in Action sessions being run at ZSL Whipsnade Zoo in February, Education Officer Holly Bestley discusses how role play can be a great way to introduce KS2 students to different careers. From helping perform a health check on a (replica) lion to operating on a chimpanzee (soft toy) this February we’re giving school groups the chance to explore the world of our Zoo Vets here at ZSL Whipsnade Zoo. On arrival at our special ‘Animal Hospital’, students will be dressed in a hair net, face mask and gloves ready to get hands on with our immersive activities and put their animal care skills to the test. Exploring different careers at Key Stage 2, can be an invaluable developmental activity, empowering students and encouraging them to evaluate their own skills as well as skills they would like to develop and use in the future. Career-based role play can additionally help them explore their own interests as well as providing a real-life application for their learning. Known to be the natural mode of learning in young children, play continues to be important as students grow, though the time and resources for play are less obvious in the older years. Guided role playing, however, can be a valuable tool to continue to build pupils self-esteem and confidence whilst also exploring important topics, particularly in terms of the Social and Emotional Aspects of Learning (SEAL). Role play can help develop self-motivated learning and social skills, such as collaboration and cooperation, whilst exploring different careers can also help develop pupils’ self-awareness as they explore their social and emotional identity. Exploring animal-related jobs specifically, such as veterinary care, can also be used to help introduce aspects of PSHE, opening up topics such as respecting the natural world and understanding the rights of animals and other people in an engaging and memorable way. Our Vets in Action activities have previously been run solely with visitors, but after the fantastic feedback we’ve received, this year we decided that it would be an ideal event to deliver to school groups. Many parents have said that their child had been inspired by the event, reporting that participation had fostered an interest in conservation and respect for animals. Over half continued the role play back at home, suggesting it would be an ideal transition topic between trips to the zoo and follow up work in the classroom. Alongside veterinary care, there’s a whole host of other careers that a visit at the zoo could be used to help explore – from zoo keeping to the architecture and design of enclosures. Considering the animals, zookeepers and visitors needs in the design of an enclosure can be a great way to get students to explore different perspectives, and the final design could be created in 3D if you wanted to incorporate aspects of art and design into the project. You could even get students to role play a zoo presenter, preparing and delivering a talk on an animal of their choice, or explore the use of video editing and green screen apps to allow them to produce their own documentary – a fantastic way to build their public speaking and computing skills. 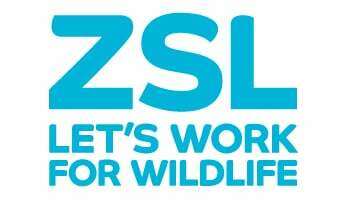 Vets in Action at ZSL Whipsnade Zoo will be running for school groups from Monday 4 to Friday 8 February at four slots throughout the day. Click here for more information, or email learning@zsl.org to book your class in.